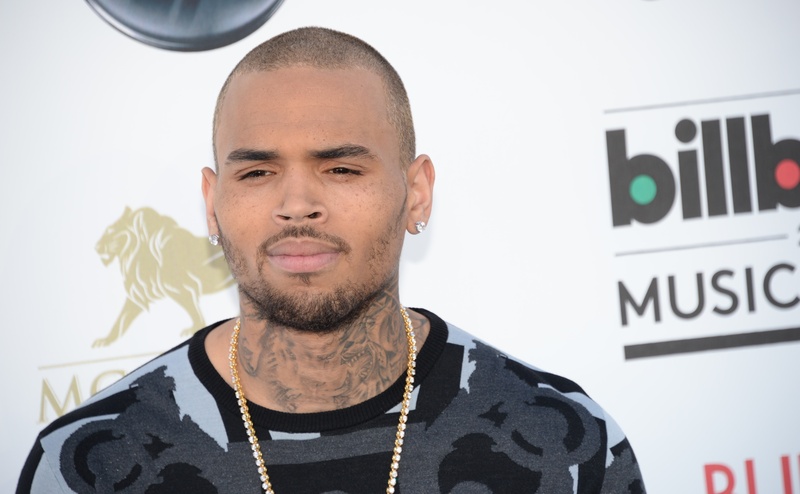 With all of his totally unacceptable behavior over the years, Chris Brown is looking downright happy in his latest Instagram photo. On Thursday evening, Chris Brown shared the first photo of his daughter, a move which appears to confirm rumors that the singer is a new parent. Is the tender father-daughter moment, along with a solo shot of the precious little girl, a sign the singer is finally maturing and ready to move on into the next phase of his life? I'm hoping yes. In the first Instagram photo, Brown and his daughter are lying on a couch wearing adorable matching red hoodies. Most of Brown's face is covered, except for a shiny nose piercing, as he gently snuggles up to her ear. The baby girl looks off screen and smiles the silliest toothless grin you've ever seen. The Instagram photo is captioned, "God has blessed me with my twin. #ROYALTY." The hashtag appears confirm reports his daughter's birth certificate had included the regal name of Royalty. Brown's daughter, who was allegedly born sometime last summer, already has a head full of glorious brown hair, which is confirmed in his second Instagram photo. In the first year of her life, Royalty has better hair than most people get in their lifetime. In this shot, captioned with a crown emoji, Royalty looks down while holding her hand to her mouth. A sea of brown curls cascade down her face. I mean, really. I know everyone says their baby is the cutest, but honestly, Royalty has definitely got to be at the top of the ranks when it comes to celebrity babies' cuteness. Just look at her eyelashes! TMZ first broke the news last month Brown supposedly had a 9-month-old daughter with a model named Nia. Breezy has kept pretty quiet about the whole spectacle surrounding his surprise parentage, but the Instagram photos seem to confirm it all.